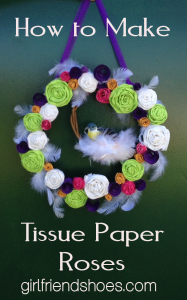 When I started this tissue paper craft I had a vision in my mind of how I wanted it to look. My crafts turn out the way I want them to probably about 50% of the time. I should start posting my craft fails. 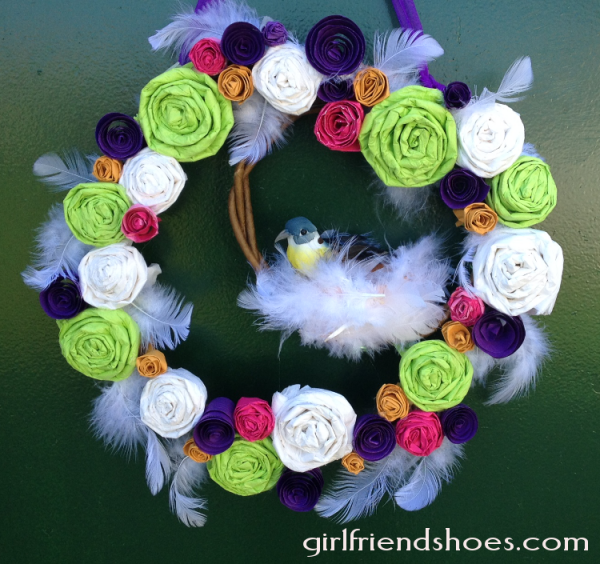 BUT…I couldn’t be happier with the way my tissue paper roses turned out and how freakin‘ cute my wreath is! I purchased the supplies at The Dollar Tree. What I did was take the leaves off the vines which I had three of and then braided them together to make the base of my wreath. I then made a circle out of the braided vine and then another smaller circle and secured it by wrapping the floral wire around it. I made the bird’s nest out of construction paper and glued feathers all around it. I then attached the three kinds of paper flowers made out of both tissue paper and construction paper. The tissue paper flowers are the green and white. 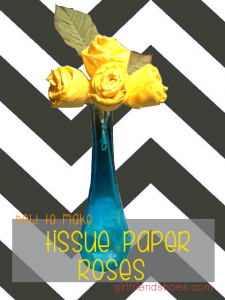 I have made my own images to�show you how to easily make tissue paper roses. You can use different pressures and paper sizes until you get the paper flowers the way you like. 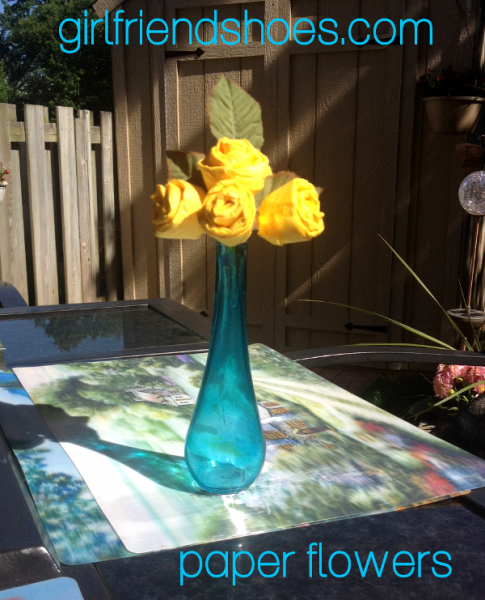 I used both double sheets of tissue paper and single sheets and prefer using just a single sheet per rose. I made this for my step mom while visiting this week. Her favorite color is yellow. If you like these please pin them.